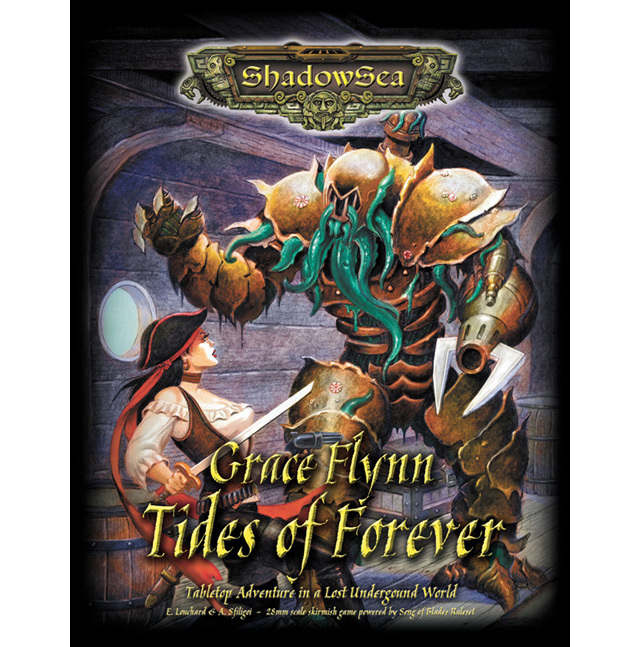 Grace Flynn – Tides of Forever is a tabletop miniatures game where players try to help Grace and her stalwart crew survive in the hostile underground world of the Shadow Sea. 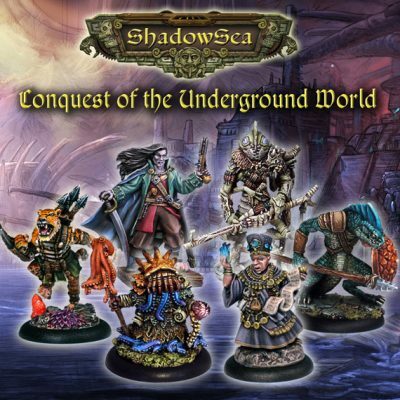 The rules for the game are based on the game system for ShadowSea – Conquest of the Underground World, using dice and tactical choices to complete different battle scenarios. The game is designed for solo play, with rules for the environment, wild creatures, enemies and special game effects. Multiple players may take part if they wish, running the enemies or playing one of the four main personality characters from the Grace Flynn stories of Phil Lee McCall. The main character is Grace Flynn herself, the notorious pirate with her sword Tyrfrost and magical Bloodsilk sash. Her first mate is Seaton, a strong and stalwart ally. Bloody Brona, the savage warrior of the Scottish Isles, is a powerful fighter who uses her massive claymore sword to hack through enemies. 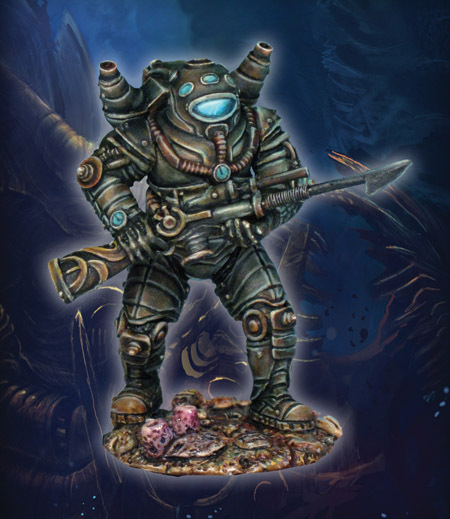 Finally, Nereus Neptune, a scholar, scoundrel and deadeye shot with a pistol, rounds out the cast of personalities. The players can also control pirate crew members that are trying to stay alive in this deadly new world. There is only one of each of the adventurers, so players need to keep as many alive as possible through the scenarios in order to escape at the end. 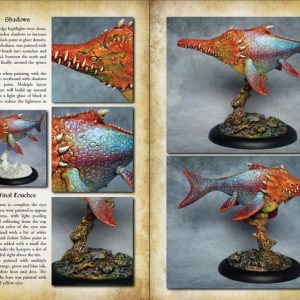 This book contains a complete rule set showing how models (the miniatures or markers for each character or enemy) move, fight and do actions in the game, such as searching for artifacts or swimming through shark-infested waters. 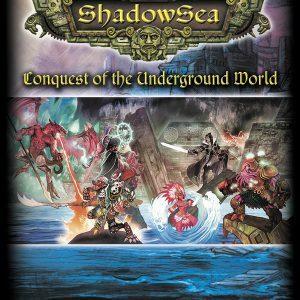 There is also a small section on the flora and fauna of the Underlands, the subterranean region of a hollow Earth where Grace and her crew must escape. 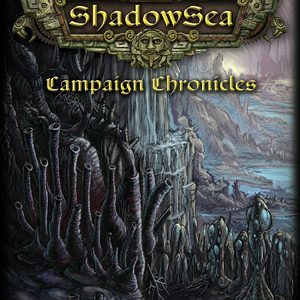 The Underlands are filled with glowing clouds of ethereal energy that provide perpetual light but can also produce powerful storms that whip the surface of the underground ocean, known as the Shadow Sea. 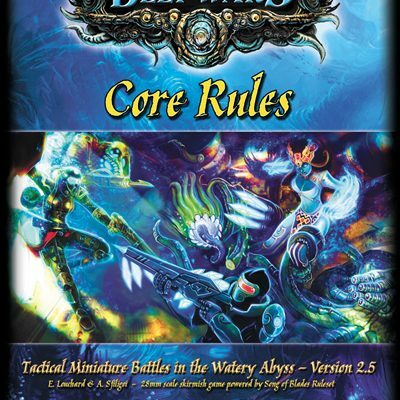 The core rules in this book are based upon the Song of Blades and Heroes (SOBH) game engine by Ganesha Games and are designed for fast and furious play with plenty of heroic action, ethereal magic and advanced technology, all handled with a few rolls of 6-sided dice. 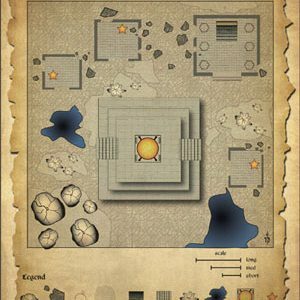 SIMPLE RULES that can be learned in one game, using 6-sided dice for rolls for combat, physical activities, using ancient technology or any other action during the game. Includes all of the rules to pick up and play the game in one evening. 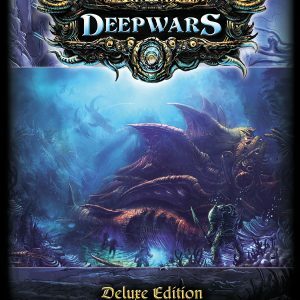 CAMPAIGN ADVENTURE with six battles across different environments as Grace and her crew try to reclaim their wrecked ship. 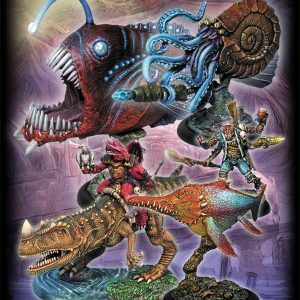 Battle with monstrous Cyclops, ravenous lizardmen and powerful Storm Dragon, all having their own unique attack and movement patterns. 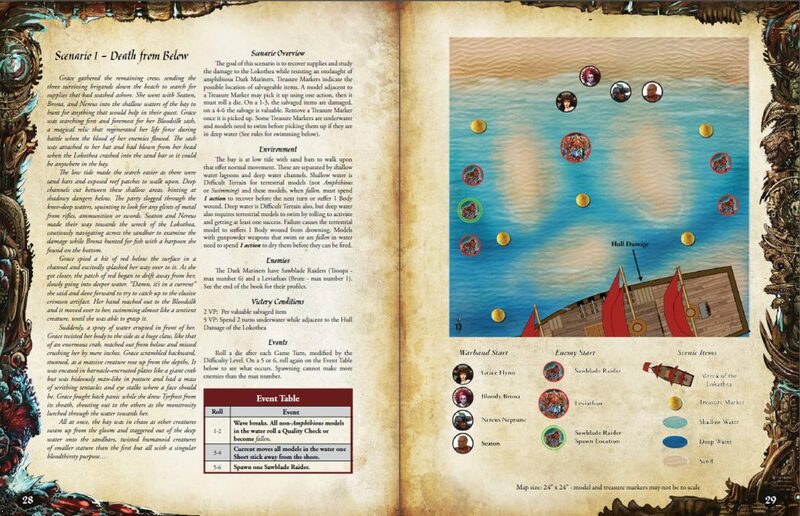 Each battle that Grace and her crew survive gives them character and warband advancements to help them along. LITTLE TO NO BOOKKEEPING! 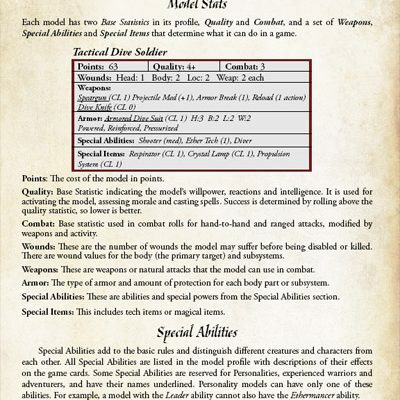 The models are represented by a basic block of two statistics and a few special abilities. 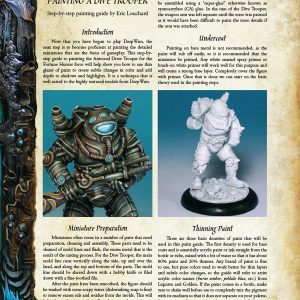 PRINTABLE ITEMS are in the book at the back. These include movement sticks, condition markers, blast templates and markers for all of the characters and enemies. Just print, clip them out, and play.